Laserworld always specifies their show laser products with full angle divergence values. We do so as we know that only the whole beam is relevant - not parts of it. 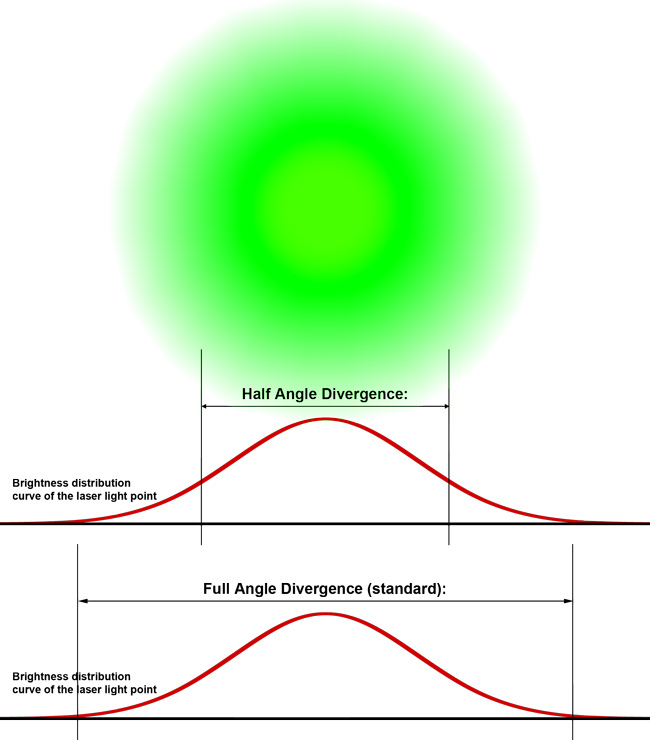 Half Angle Divergence: Only respects the brightest inner part of the beam. It does not respect the blur around. In fact, the value given at "half angle" is half of the full angle value. Full Angle Divergence: Specifies the beam including the blur around it. This is the standard specification, and Laserworld respects that. However, some companies specify their products with Half Angle Divergence without mentioning it. We therefore kindly ask you to only compare similar values.